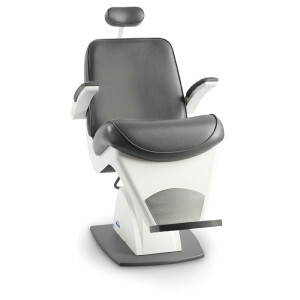 The Reichert Stamina Ophthalmic Stand meets the needs of the eye care professional who demands the very best in durability, functionality, and style. Strong, slim and stylish. Durable construction outlasts the competition while contemporary styling complements your exam room. The slim profile and small footprint allows easy access to your patients and instruments without compromising floor space. Logical control panel. Buttons are located in close proximity to each other for easy access to the main on/off power switch, chair elevation and control, lower instrument arm, overhead lamp, projector and accessory instruments. Convenience for accessories. Three rechargeable instrument wells with charge indicators. Corded (BIO) instrument power and voltage selector. Three additional accessory outlets allow for consolidation of power cables. Functionality at its finest. The Phoroptor arm comes fully counterbalanced for a Reichert Ultramatic RX Phoroptor and the lower instrument arm is counterbalanced for the Reichert Xcel 255 Slit Lamp. 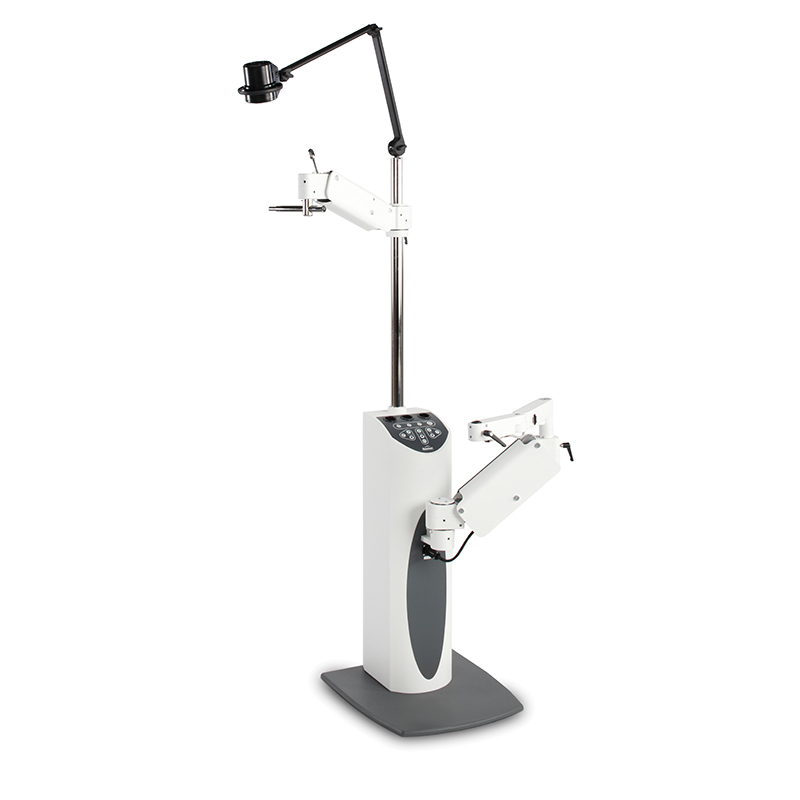 The built-in counterbalance adjustment mechanisms can be easily accessed in each arm. 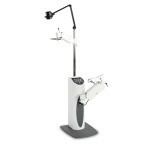 The height range on the lower arm accommodates wheelchairs and standard patient access.